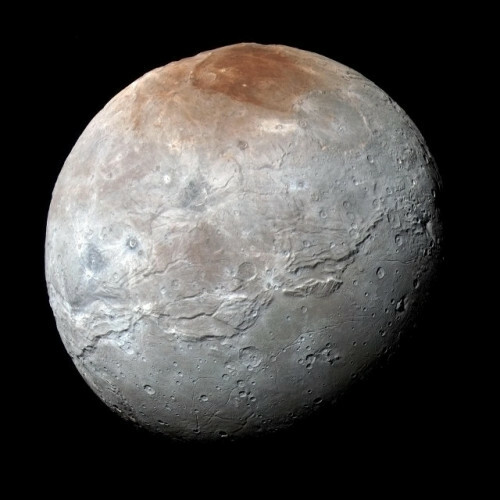 If the images of the dwarf planet Pluto published by NASA in recent months haven’t been enough for you, now high-resolution photos of Charon, its largest moon, have been released. The first images arrived soon after the New Horizons space probe’s July 14, 2015 flyby had already shown a moon with a complex geology. These new images show even better the deep chasms that ply its equator and the curious color of its north pole. The mysteries of the dwarf planet Ceres are a topic of discussion at the European Planetary Science Congress going on these days in Nantes, France. 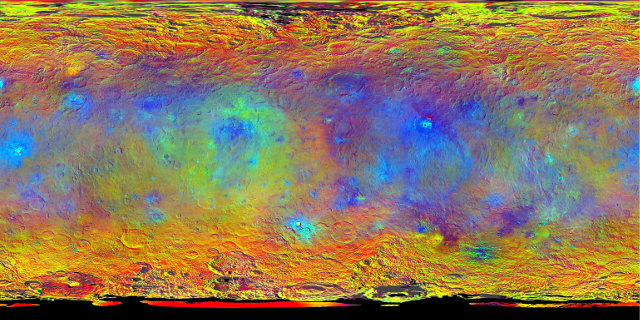 For the occasion, NASA published new topographic maps of Ceres based on data collected by its Dawn space probe, which has been mapping it for a few weeks. The latest news on this dwarf planet came from some emission of energetic electrons. 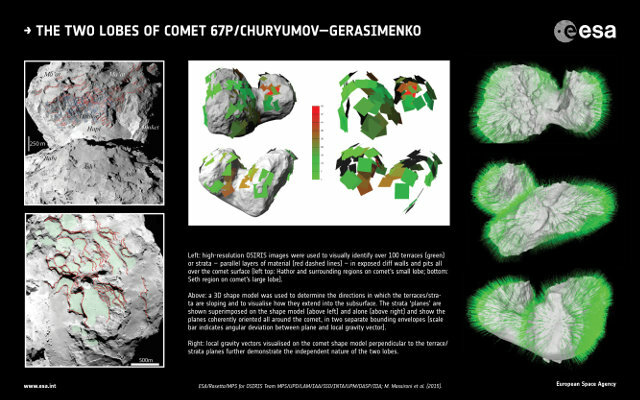 At the European Planetary Science Congress going on these days in Nantes, France, evidence were presented that the strange shape of the nucleus of comet 67P/Churyumov-Gerasimenko is due to the fact that it was born from the merger of two small comets occurred a few billion years ago. The study conducted by a team led by Matteo Massironi, a researcher at the University of Padua and Italian INAF (National Institute of Astrophysics) associate, was published in the journal “Nature”.